This month we venture to St. Paul's East Side for a trio of riverfront parks home to stunning views, rich history and restored habitat. With panoramic views of downtown St. Paul and the Mississippi River, Indian Mounds Park is well known as one of the metro's premier vantage points. A quick Google search is sure to yield many images that look familiar from postcards or local tourism webpages. Mounds is also renowned for its historic sites, especially the remaining burial mounds from at least two American Indian cultures, the Kaposia and Hopewell. For a brief historical overview of these and other features, we recommend this video from the city and our local Mississippi National River and Recreation Area's National Park Service guide. Besides the stunning overlooks and rich history, the park is also quite convenient to use, featuring ample parking, picnic areas and trails. Plus, it's on a bus line (route 70). Photo: FMR volunteers tend a prairie planting at the main overlook at Indian Mounds Park. When you visit, be sure to take a moment to appreciate the many people helping to restore and maintain the park's prairie and forest habitat. For years, this site was degraded. Now, dozens of FMR and community volunteers help tend the park's main overlook by removing invasive species and planting native ones that support pollinators and help stabilize the bluff. FMR also works with local high schoolers to plant grasses and wildflowers in the park's prairie triangles, where students also do important research and monitor plant and insect diversity. 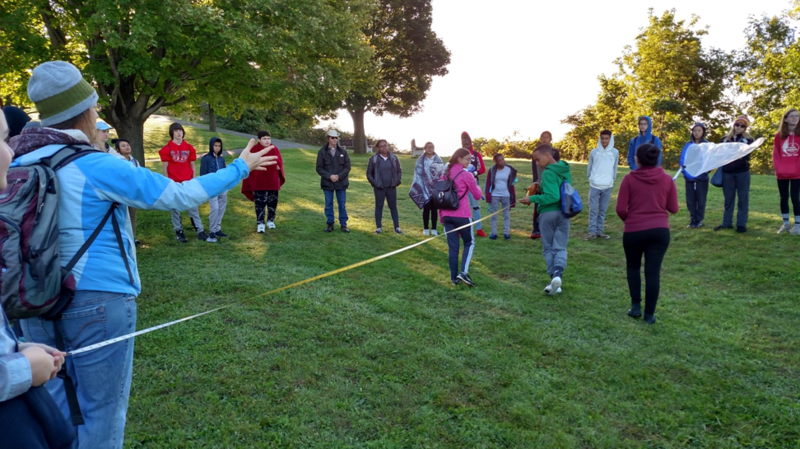 Students from Open World Learning School learn to set up insect transects or research areas at Indian Mounds Park in St. Paul. Just down the bluff from Indian Mounds lies quiet and unassuming Willowbrook. Nestled along Warner Road just south of downtown St, Paul, Willowbrook is home to the Department of Natural Resources (DNR) Central Region Headquarters and Minnesota’s first state-run fish hatchery. While the once-bustling hatchery now produces far fewer fish than it did in the late 1800s and early 1900s, it still produces millions of walleye fry and muskie fingerlings stocked in lakes throughout the state. It’s also the off-season home of the fish at the DNR’s State Fair pond. The Willowbrook campus has both walking and biking trails for exploring the forest and wetland habitats around Little Pig’s Eye Lake (although biking beyond the immediate area often involves detours). Photo: Harding High Earth Club students carry bags of garlic mustard down a trail at the Willowbrook site. FMR wrote the natural resource management plan for Willowbrook in 2014 and has been helping to restore and conduct research at the site since. It's also one of our most active sites in terms of student engagement. Here, we work with Harding High Earth Club students who are investigating garlic mustard removal methods and the success rates of various post-removal native seed mixes. And in a joint project with the DNR and the city, we work with Urban Roots youth crews to live-stake various tree species to replace ash in the site’s seepage swamps. So far, this research has informed FMR's habitat restoration efforts and we look forward to it supporting work across the state as well. 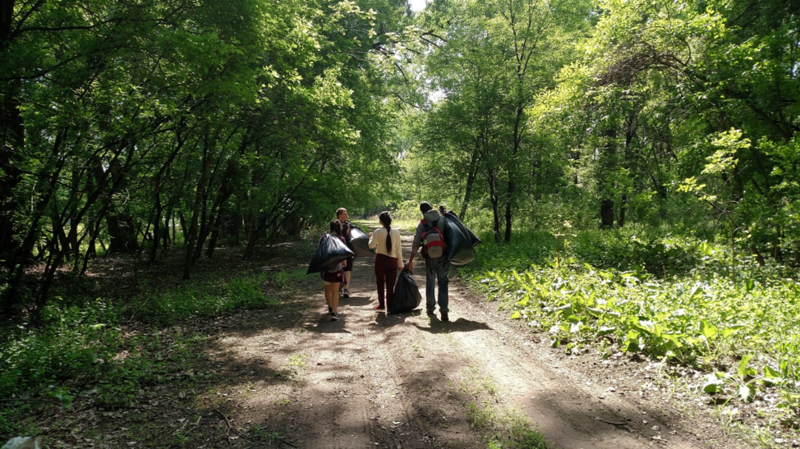 Harding High Earth Club members haul away invasive garlic mustard from their research plots in the Willowbrook floodplain forest. Below the better-known Indian Mounds Park and just downstream from Willowbrook lies the biggest park in St. Paul ... really. Pig's Eye Regional Park includes 404 acres of land plus a 500-acre lake. However, it's not exactly known for its accessibility, being sandwiched between industrial lots, roads and train tracks. It's been a sacred site, a dump and is now a transitional and preserved natural area "in recovery." For an excellent overview of the site's history, we recommend this excellent article from the Pioneer Press. If you're lucky enough to have a boat, you can also paddle out near Pig's Eye rookery. 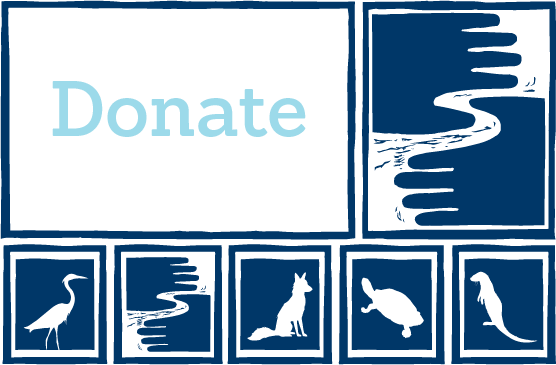 This highly protected site is owned by the city but is also a state Scientific and Natural Area. This SNA is home to one of the largest nesting sites for colonial waterbirds in Minnesota. Great blue heron, great egret, black-crowned night-heron, double-crested cormorants and yellow-crowned night heron all nest here. If you have a car or bike and don't mind walking down a barely-maintained trail, we've placed a star on the map below at a great spot to watch the sun set over downtown St. Paul on a sort of mini-peninsula at Pig's Eye Lake. And, yes, the road there is indeed, public. Zoom in and click on the dark gray stars for the locations profiled in this article (click the arrow in the pop-up window for directions) or check out the whole Special Places map so far in full-screen via the squarish icon top right. This profile is part of FMR's 25 Special Places project, which we undertook to celebrate our silver anniversary year and the metro Mississippi River in 2018. We've compiled all these places into our Explore the River page, an interactive Google map and set of guides to help you get to know the river that shapes our metro area.